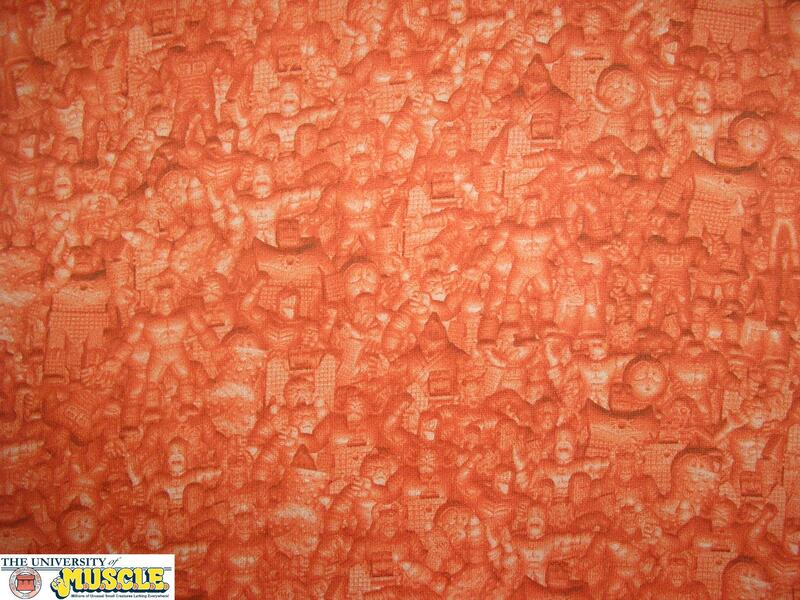 Previously the only M.U.S.C.L.E. inspired clothing was the result of enthusiastic collectors. These collectors either created the t-shirts at home or used professional, but simple, manufacturers. 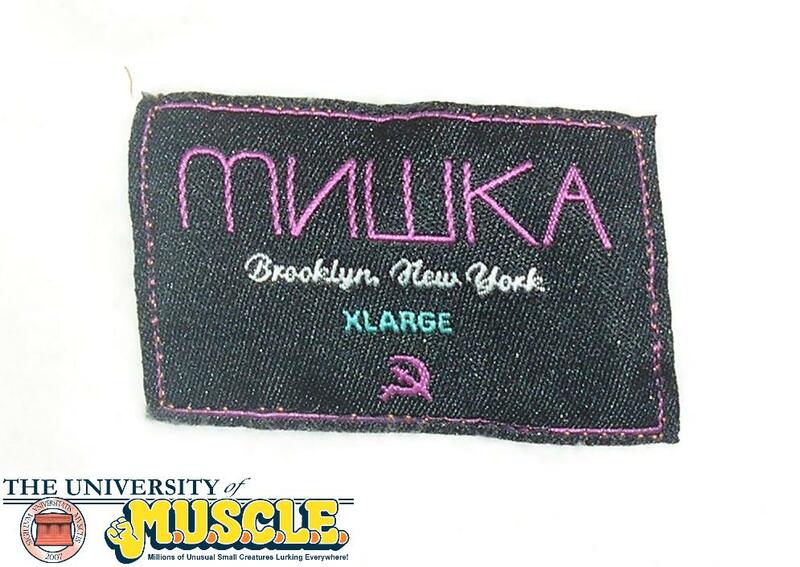 That changed in 2008 when a company called Mishka NYC created M.U.S.C.L.E. inspired t-shirts and sweatshirts. 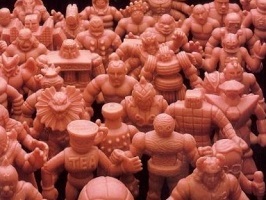 The company’s blog shows that their love of Kinnikuman is not limited to the clothing that they produce. This entry showcased a clear skull filled with Kinnikuman figures. The t-shirt was a rather simple design. 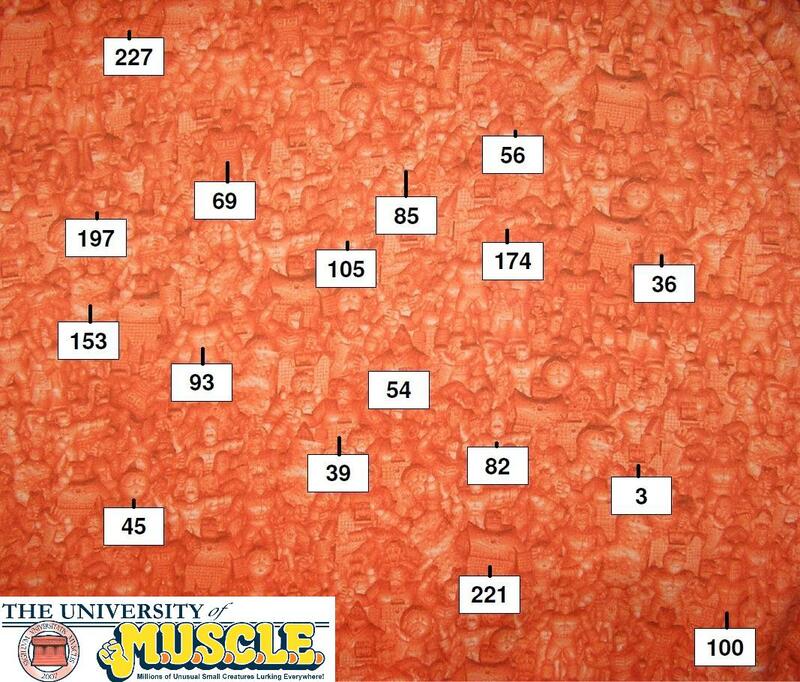 Instead of the traditional M.U.S.C.L.E. logo the letters were replaced to spell Mishka. 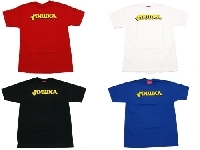 The t-shirt was available in Black, Red, White, and Blue. While the t-shirt design was simple, the sweatshirt design was the complete opposite. 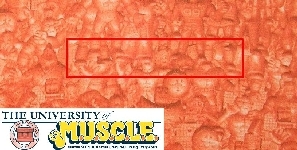 The pattern was made up of M.U.S.C.L.E. 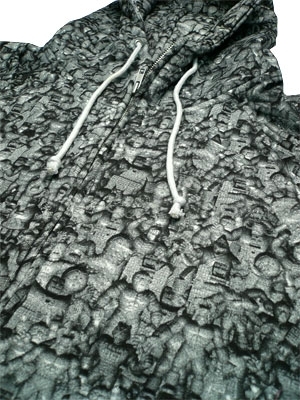 figures and covered the entire sweatshirt. 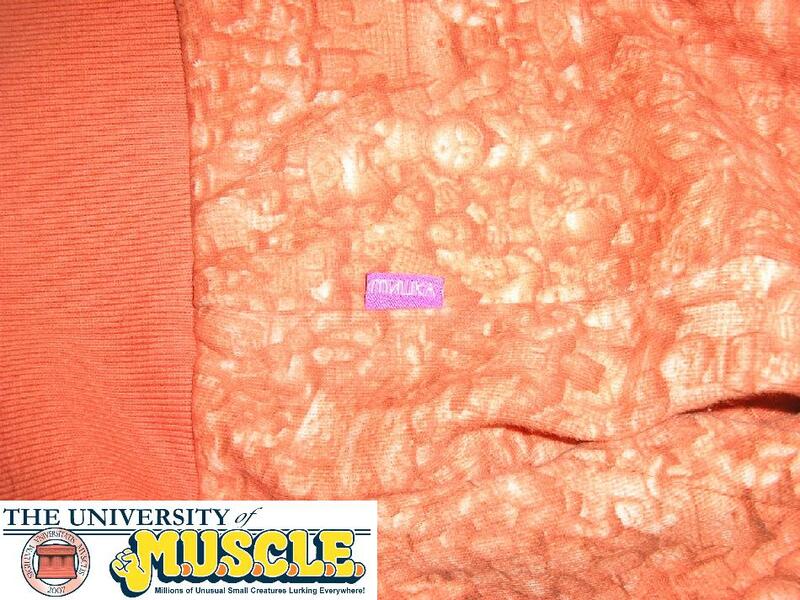 The sweatshirt was available in black and an orange/pink that was very similar to the M.U.S.C.L.E Flesh color. 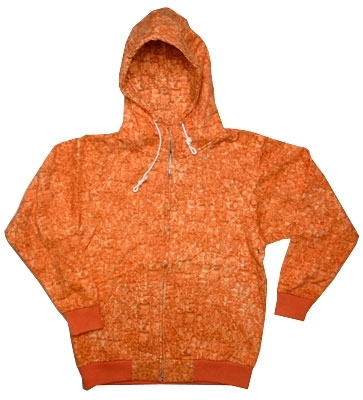 It featured a chin-high zipper, metal ventilation grommets under each arm, tonal ribbing on the wrist cuffs and waist, a Mishka logo tab label at the right side seam, and contrasting white hood pulls. The pattern is very impressive. At first glance the repetition of the pattern is not easy to decipher. There is not an immediately clear repetition point. 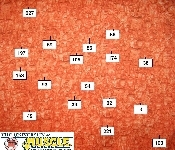 It truly looks like hundreds of figures were used – instead, 17 figures were used: 3, 36, 39, 45, 54, 56, 69, 82, 85, 93, 100, 105, 153, 174, 197, 221, and 227. 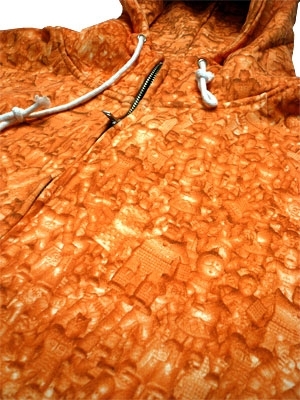 It is not very difficult to identify the figures on the sweatshirt. 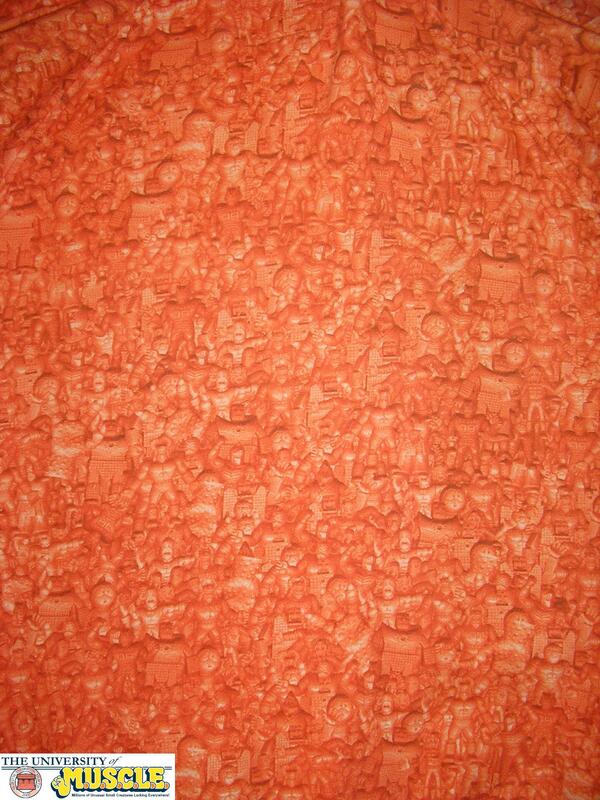 However finding the repeating pattern that appears on most fabrics is much more difficult. 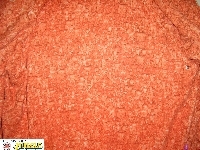 The complexity and layering of figures makes it very difficult to see the pattern. 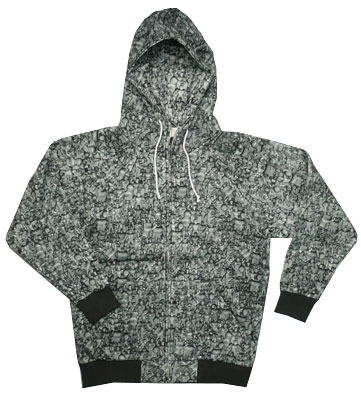 It is possible that the original pattern was so large that one sweatshirt was unlikely to show the repeated pattern. 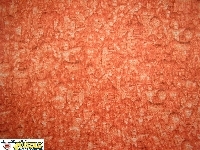 The only insight into the creation of the pattern comes from a sloppy digital edit. In the example above there are clearly three figures that have had their heads cut off. 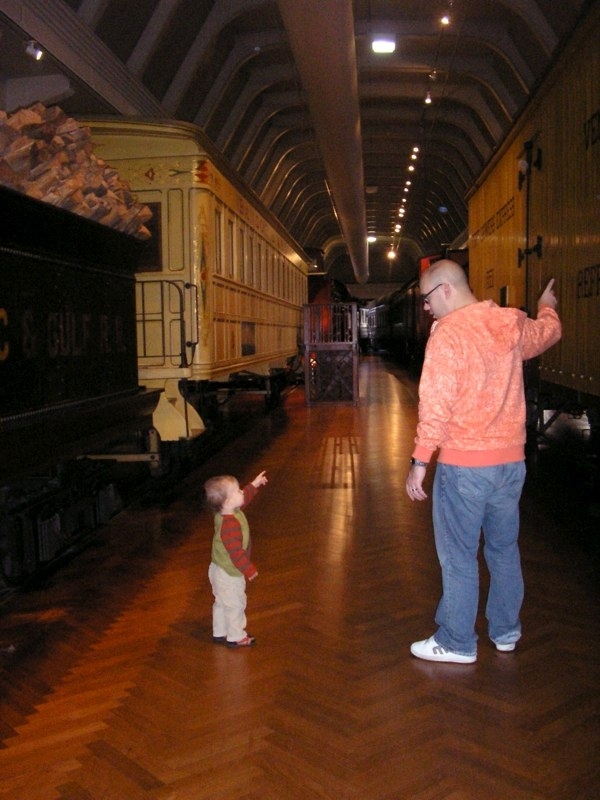 This is not the result of other figures obscuring the heads, but rather a digital edit that was left unchecked. 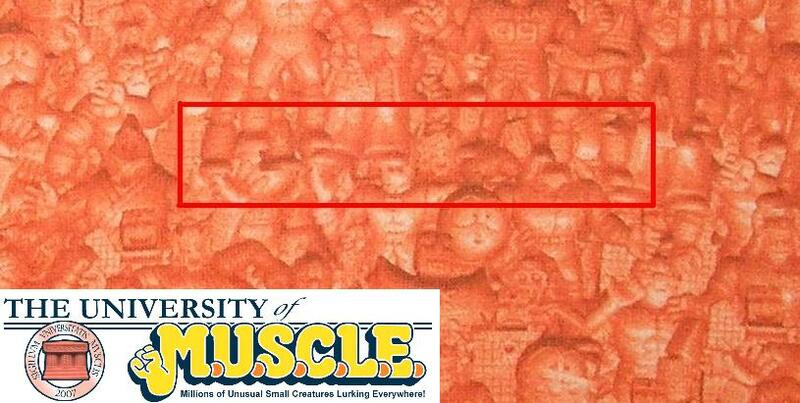 These types of cuts may have happened elsewhere on the pattern, but were likely covered up with other figures. It is possible that edits like the one above, were “corrected” by placing entire figures over the edit – which explains why some figures appear to be entirely on top of the other figures. 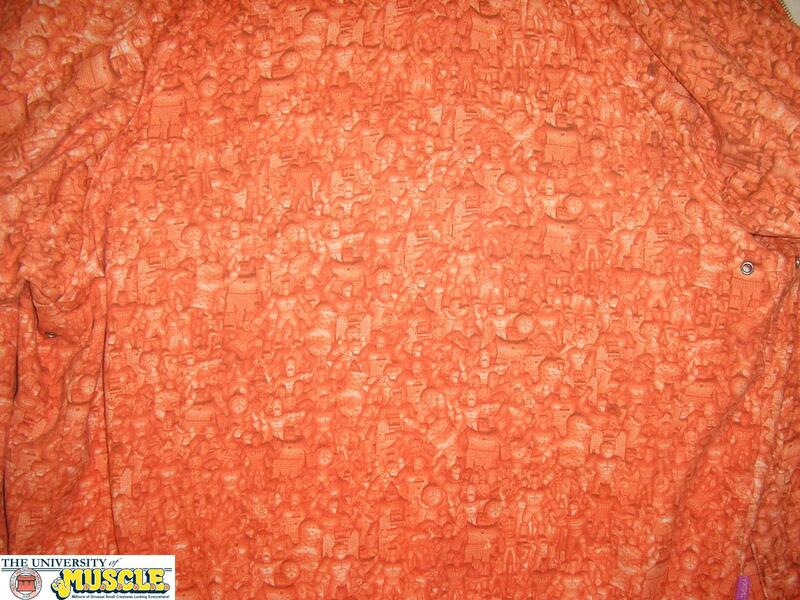 One of the most common questions collectors have posed about the sweatshirt is actually in regards to the size. These concerns are actually well founded. The sweatshirts did in fact run a bit small. 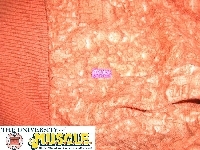 An extra large sweatshirt was a fraction smaller than a standard extra large size – not very noticeable before it had been washed. 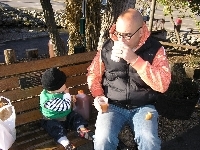 However after one washing the sweatshirt seemed prone to shrinkage. This occurred even without being put into the dryer. 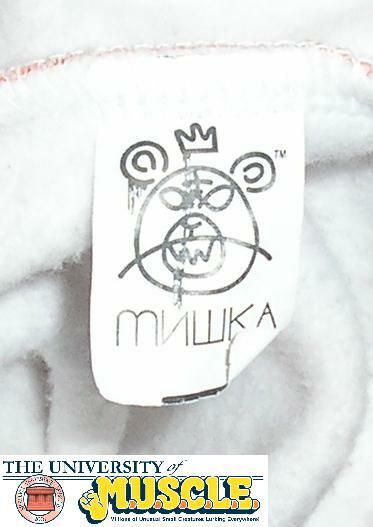 Inquires for an interview with a Mishka NYC representative have not been answered. 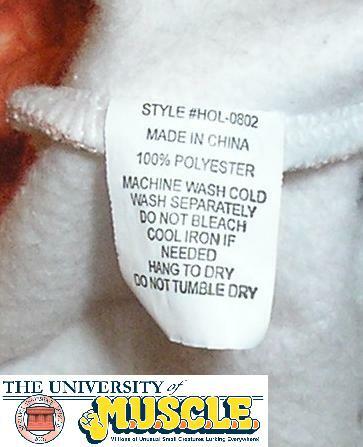 This entry was posted on Tuesday, August 6th, 2013 and is filed under Fashion, UofM News. You can follow any responses to this entry through RSS 2.0. You can skip to the end and leave a response. Pinging is currently not allowed.